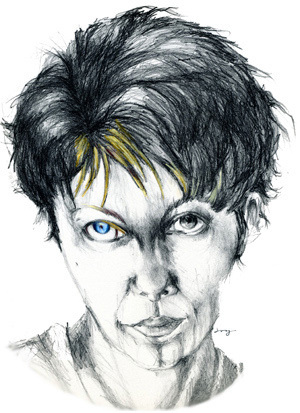 On the morning of her first trip to Vienna, a destination which I recommended, Ivy Lambert was sketching a pair of caryatids in the middle of a quiet Einbahnstraße, or one-way street, when a disc-shaped projectile flew out the window of a second-story apartment and landed soundly on her head. Death was instantaneous and, according to the harelipped coroner, painless. The fatal projectile was later determined to be a pet turtle, kept (illegally) by the young female renter of the second-story apartment, though it was her boyfriend who defenestrated the animal in a jealous pique. The boyfriend was convicted of involuntary manslaughter, for which he was fined €20,000 and sentenced to two months in prison. The renter was fined €220 for possession of an unlicensed reptile. The turtle itself is still sought by the police, as it had fled the scene of the crime by the time of their arrival. Upon hearing the news, Nelson quit the ways and habitations of mankind. He would spend a quiet lustrum among the dunes, living in a modest dwelling made of driftwood and abandoned boogie boards. Gert and I flew immediately to Vienna, met at the morgue, and bid Ivy adieu. When I came to my senses, we were circling the Ringstraße in a timeless shuffle, pallbearers of an invisible casket. I stopped and asked, “How long have we been here?” No answer was given, and we parted. Gert retired to Port Orchid and locked himself in his bedroom, with only a herd of cats, a decrepit grand piano, and an abacus for company. With the latter he hoped to reconcile the line segment with the circle, to turn down a blind alley and confront the infinite. As for me, I embraced my appointment as an unwilling agent of death by taking a freighter to the Ivory Coast and signing on as a mercenary. Of my exploits, I will not speak. In the fifth and final year of Nelson’s self-imposed exile–this year–the big toe on his left foot began to ache. Assuming it to be an attack of gout, he turned to a trusty single-malt anodyne, though eventually no amount would drown the pain and he was forced to see his doctor. The next day I was there, standing with Gert beside bed 707 in room 707 in Intensive Care Unit 7. Our friend lay comatose with half a dozen stents in his pincushion heart. For two weeks we kept vigil. I told Gert the things I had seen and done, and he told me of his mathematical researches, which latterly had adopted a mystical air: if the line segment and the circle were joined, they would form the astrological aspect for a conjunction, or the fleeting intimacy enjoyed by heavenly bodies. All around us, curtains were being closed on anonymous lives. Soon we began killing time* by writing a play titled Keinbahnstraße, or No-Way Street. After having the immortal poet Schillerkröte abducted from his apartment at No. 0 on the titular street and put on trial for the murder of a caryatid, we gave up. Our hearts weren’t in it. One morning before dawn, Gert shook me awake: Nelson was speaking–it seemed to me in tongues, until I finally recognized a language I hadn’t heard in twenty-eight years, Icelandic! Other than his lips, Nelson remained as still as a corpse while Gert translated his mutterings into German and furiously wrote them down. Nelson was speaking dialogue extempore, specifically the missing dialogue of our play. The slain caryatid’s three brothers–a postman, a mathematician, and a soldier of fortune–come to plead for Schillerkröte’s innocence, but the judge is unmoved, and sentences the poet to be hanged from the toes until dead. Since he is permitted neither pen nor paper in his cell, Schillerkröte has been etching his verses into the wall with a bent nail which is finally confiscated, leaving his last and greatest poem unfinished. The three brothers visit him the night before his execution, and he dictates the closing lines to them. After his death, the poem is chipped from the prison wall, completed, and placed where the caryatid once stood, holding up the broken pediment at the entrance to No. 0 Keinbahnstraße. By sunrise, the play was done, and Nelson silent once again. None of us had seen a moving picture in five years, so that afternoon I switched on the television set in room 707. Surfing past soaps and tabloid trash, I found Aliens, a film which, for reasons I cannot disclose, is of great personal significance. My eyes did not leave the screen until Ripley tucked Newt into a hypersleep pod, at which point I turned and saw Nelson sitting up in bed, rapt and tearful. Nelson was released today in perfect (well, much better) health, and Gert and I took him back to the apartment he had quit the day Ivy died. 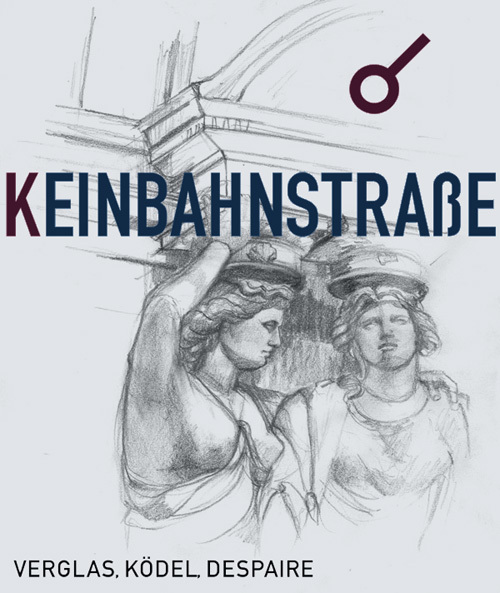 We all raised a glass in her honor and are making arrangements for Keinbahnstraße to be performed in Vienna. Nelson, by the way, does not recall his role as ghostwriter, and, when I spoke to him in broken Icelandic, asked if I didn’t want his bed at the hospital. Nelson is back, and so is Cinemascuro. *According to one overworked nurse, time had it coming.